Our biggest social and environmental impacts often lie beyond the company gates. Pieter van Exter explains how businesses need to look beyond their immediate operations to truly understand their effect on people and the planet, and manage their risks. Sustainability is high on the agenda in almost every boardroom. In 2017, 85% of the 500 largest companies in the US published a sustainability report, compared to only 20% in 2011. In addition to reporting, companies have started taking action: large corporates are moving to renewable energy, minimizing waste to landfill, and reducing water consumption. But the environmental impacts of companies lie not only within the bounds of their office premises and production warehouses. In fact, it is often up- or downstream of companies that the greatest impacts occur; and these are typically the impacts that companies know very little about. Companies play a pivotal role in value chains and are in a unique position to significantly reduce environmental impacts throughout the entire life cycle of their products and services by engaging with both their suppliers and consumers. Taking a proactive role in value chains and addressing your business’ largest impacts not only contributes to the sustainability of the planet; it is also a vital part of understanding your risks and positioning yourself strategically in an increasingly dynamic landscape. What are indirect impacts and where do we find them? All businesses have some kind of environmental or social impact. Depending on the business type, impacts can include land use, water consumption, greenhouse gas emissions, toxic pollution, scarce material consumption, health and wellbeing, and social justice, to name a few. 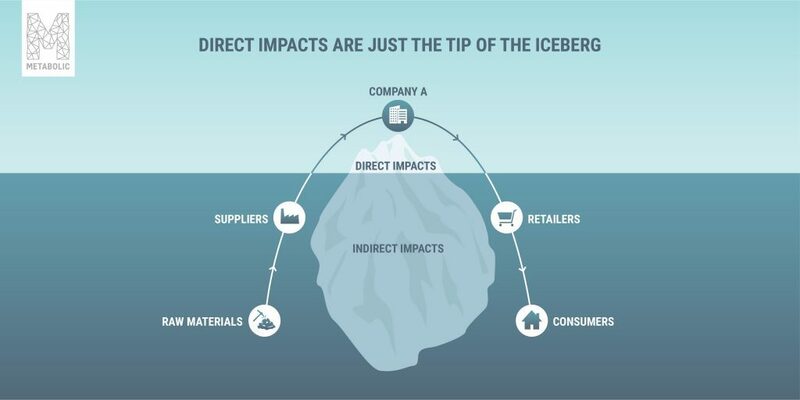 Indirect impacts are those impacts that do not result directly from your company’s operations, and are often produced by other entities at a different location and time. These impacts can be found ‘upstream’ of your business and caused by the suppliers that provide you with raw materials for your products. And they can also be found ‘downstream’, caused by the consumers that use and ultimately dispose of your product at the end of its life. Let’s take a look at a smartphone producer as an example. In the production process, the company creates direct environmental impacts with the energy, water and resources that are needed to assemble the phone, the charging cord, the box it is packed in, and shipping the product from the factory to a distribution warehouse. But this is only the tip of the iceberg. 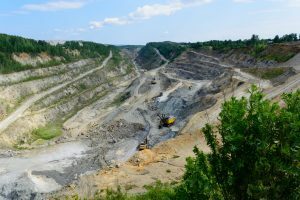 The suppliers that provide individual components for the smartphone’s production, such as batteries and touch screens, are also responsible for environmental impacts, and they are in turn dependent on other companies that provide them with materials such as gold and lithium, which are ultimately extracted from the earth. On the other hand, it is also important to look at how consumers and retailers deal with the smartphones once they have them. Are the phones designed in such a way that they are energy efficient and that they can easily be repaired or recycled at the end-of-life? The extent to which the end-user can ultimately ‘close the loop’ is crucial for the total impact in these life cycles. The immense magnitude of indirect impacts becomes very clear when looking at the example of direct and indirect water consumption. For a soft-drink company, direct water use includes the water that is mixed with other ingredients to make the refreshing soda itself, while indirect water use includes the water that is used to produce all the ingredients that go into the soda, such as the farming of the sugar cane. Again, it turns out that indirect water use is often exponentially larger than the water used in on-site production processes. 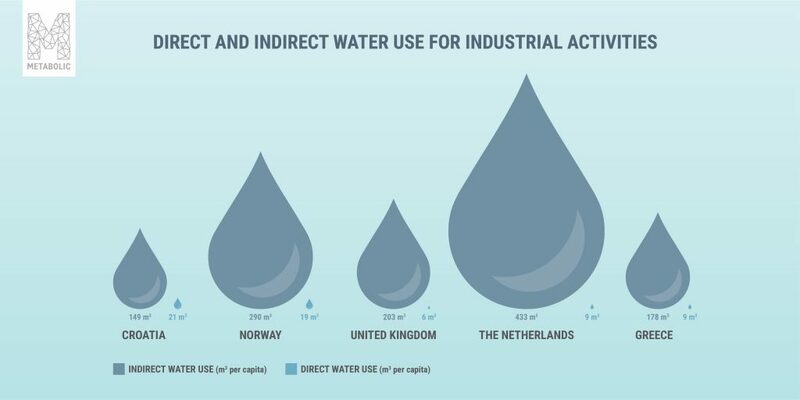 In Europe, the water used in creating imported industrial goods is 7 to 75 times more than the water use for industry and construction within European countries themselves. What this example demonstrates is that the true water consumption in European countries is embodied in the TVs, laptops, semi-finished products, and raw materials that consumers and companies import from elsewhere. Much more so than the direct water consumption from industries in the country itself. In this year’s WEF Global Risk Report, the World Economic Forum highlights increasing concerns about the pressure we are putting on environmental systems upon which we depend. These pressures lead to both predictable and unpredictable changes that, if unmitigated, will likely cause severe harm to the global economy. In contrast, a growing number of studies are finding that fast action on climate change mitigation could save the global economy as much as $30 trillion. As we place increasing demand on finite resources, the bottom of the barrel is in sight. It’s not just fossil fuels that are running dry; some of society’s key metals are projected to run out within a few decades, a fact that has so far received far less attention. Prior to running out completely, the competition for these scarce goods will intensify through speculation, hoarding, and other forms of safeguarding, making them increasingly difficult for companies to acquire. While scarcity can happen on a global scale, where metals (e.g. antimony and cobalt) and other materials are traded, it can also apply to very local resources, such as a specific aquifer that runs dry. Keeping a conscious eye on these global and local dynamics and switching to more commonly available resources will make your company less vulnerable to these forms of operational risks. 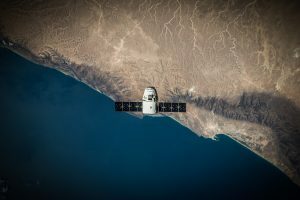 As the environment is increasingly damaged by human interference, governments will respond with policies and regulations to reduce such impacts. These policies can affect your business significantly. One policy trend that we see currently is that of governments holding manufacturers responsible for proper waste management. For example, the EU’s REACH regulation improves the protection of human health and environment posed by chemicals by placing the burden of proof with the chemical companies. Policies can restrict the resources that you are using or put taxes on emissions or waste that you or your customers are generating. According to a study by the WBCSD, the link between sustainability and enterprise risk management is still missing, while 89% of the risk managers that were part of the study acknowledge the potentially significant impacts of sustainability related risks. Both up- and downstream of the value chain, events can occur that significantly damage the reputation of a company. Upstream, fair distribution of resources is becoming a topic of public debate, and companies are held responsible for health and safety conditions within the factories that supply them. An iconic example is the horrible collapse of the garment factory in Bangladesh in 2013 where more than 1,100 workers died and retailers were blamed for the catastrophe. Investors are becoming reluctant to invest in companies that operate unsustainably. The Norge bank, with an investment portfolio of $1 trillion, has announced its plans to ditch oil and gas. 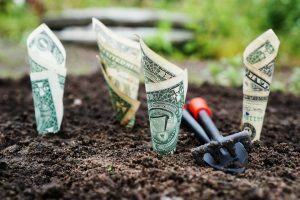 And BlackRock, the world’s largest asset management firm, is reconsidering its view on sustainable investments, on the premise that the company has ‘moved from a “why?” to a “why not?” moment in sustainable investing. Environmental and climate risks are also included in the the S&P global corporate ratings. For 717 ratings, the exposure to these risks played an important factor. While there is a wealth of progress yet to be achieved within the realm of sustainable finance, these early movers are clear first signs of a bigger transition in the financial sector. So how can you best understand your indirect impacts, and take action to manage the potential risks associated with them? Make an assessment of all the materials, water and energy that your products depend upon. The results can be summarized in a material flow diagram that depicts the entire inputs and outputs of your value chain. This will give you useful insights into where your impact hotspots are and is a great starting point for engaging with your suppliers and customers. The next step is to connect the material flows to impacts (e.g. steel production to CO2 emissions). At this phase, it is important to note that environmental impacts are highly contextual, regional, and temporally specific; for example, the impact of 1 liter of water consumption in the Sahara differs from the same amount used in the Netherlands; 1 liter of water extraction during a drought is different than during a monsoon; and 1 liter of water to lessen the thirst of a local community is not the same as 1 liter to produce soy for cattle feed. Each value chain is different, and context makes it critically important to study your value chain in as much detail as possible. Try to find the most specific data available for your resources and conduct an impact assessment that includes spatial, contextual and temporal data. Based on the previous steps, develop a vision of where you see yourself as a company in the coming years. What values matter to you? How will you move from your current state to achieving these values? A vision may sound intangible, but it helps you engage with both your suppliers and customers. 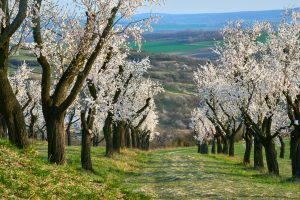 Paul Polman, the CEO of Unilever, sees sharing a vision on sustainability within the company as one of the most important parts of the transition. Today, Unilever is regarded as one of the most sustainable multinationals in the world. After you know where you currently are and where you want to be next, it is time to take action. Use the insights from Step 2 to intervene where you’ll have most positive impacts. Interventions can range from optimization, where one might develop a procurement strategy for sourcing responsible materials (e.g. using recycled paper for packaging), to disruption, which could entail a complete redesign of your products. Finally, use key performance indicators (KPIs) to track your progress and adjust your action plan if necessary. This helps you to understand whether your actions are having a measurable impact and can be a highly effective motivator for those driving the interventions. The best indicators are always S.M.A.R.T. As environmental challenges increasingly threaten the healthy functioning of our economy and society, it takes collective effort to formulate a strong solution. Companies are centrally positioned to connect with their direct surroundings and influence their value chains. Using a systems perspective to look at your entire value chain will allow you to understand where your company is having its greatest environmental and social impacts, and where the biggest leverage points are for meaningful change. This is as much your business as it is all of ours, so let’s collaborate. 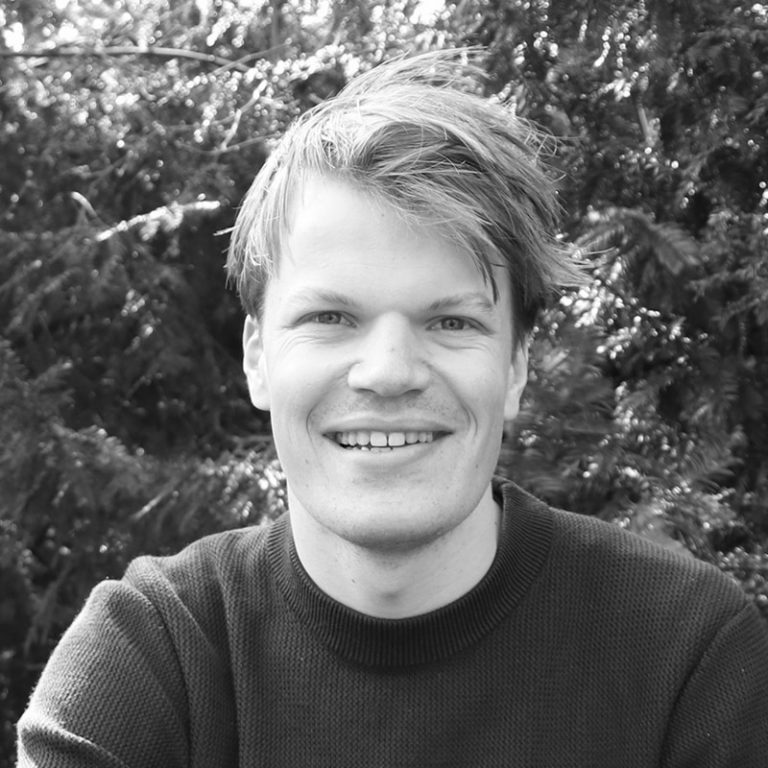 To better understand your company’s impacts and risks, and how to create a rigorous, future-focused sustainability strategy, contact pieter@metabolic.nl.